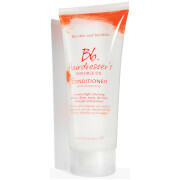 Give your fine, limp hair a boost, with the Bb Thickening Conditioner. It gives your hair more body and volume, leaving it moisturised and more manageable, with tangles. The Thickening Conditioner contains Silk powder that sticks to your hair strands and creates space between them for a fuller effect, while adding gloss and moisture to your hair. It also acts as a damage controller defining your split ends and smoothing flyaways. 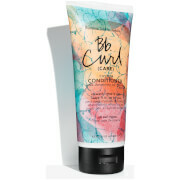 This lightweight conditioner is ideal for daily usage by anyone who craves fullness of hair. Aplique no cabelo limpo e húmido. Penteie ou trabalhe o cabelo com os dedos. Enxague abundantemente.